Time to leave. Looking forward to visiting family and friends at home, but sad to end our adventure here. In preparation, we put the dinghy on deck, watered and fueled the boat, finished the laundry, bought groceries, and said good-bye to our Hope Town friends. We left at 7:45 am Tuesday – dead low tide. We touched bottom twice, not in the harbor entrance, but on the way to the Parrots just outside the harbor; even though we were on the deep draft route. 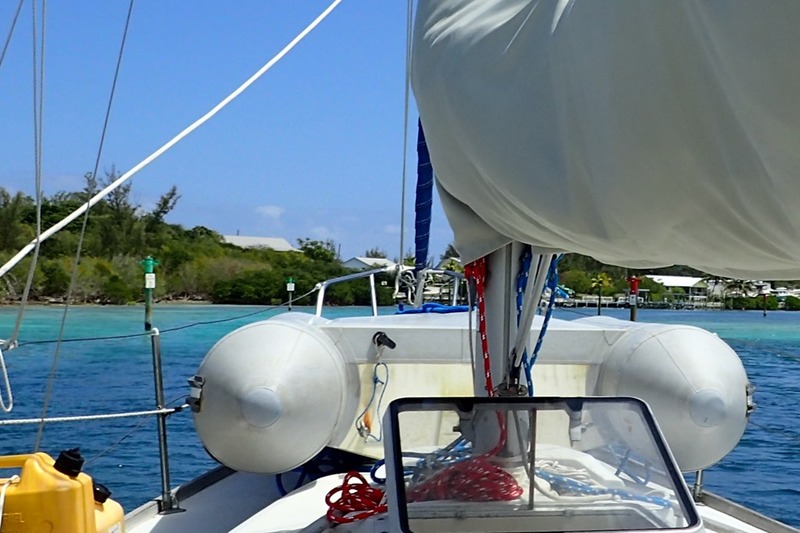 A quiet day on the water – northwestward past Man O’ War, Scotland and Guana Cays. 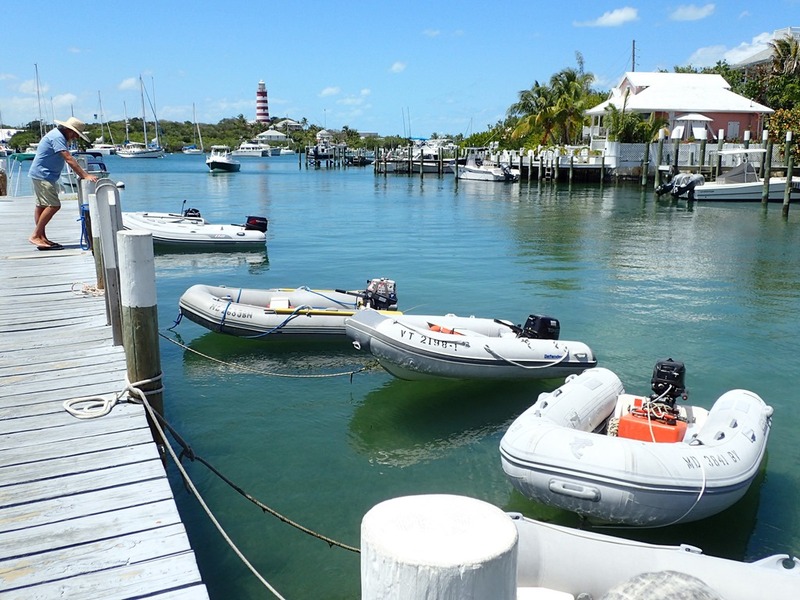 Just before arriving at Green Turtle, we navigated around Whale Cay – passing out of the Sea of Abaco into the ocean and then back again in order to avoid the shallows. 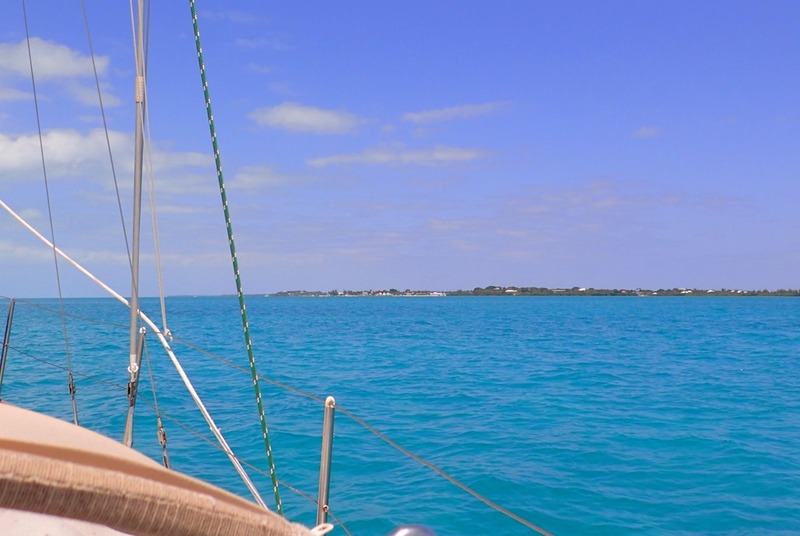 At the north end of the Whale Cay channel, a large swell from the southeast picked us up and swept us back into the Sea of Abaco. Onto its gorgeous blue water. 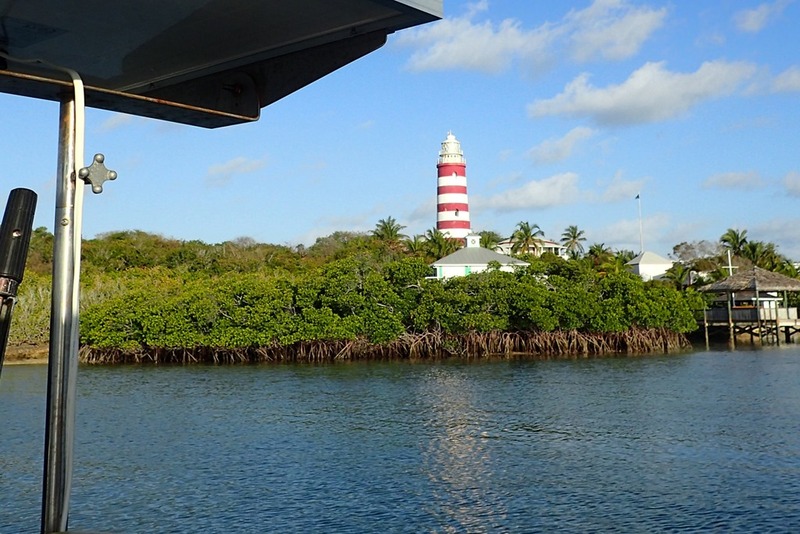 Twenty-five miles from Hope Town, we arrived at Green Turtle Cay – about an hour and a half before high tide. Perfect timing, as the entrance to Black Sound, Motu Iti’s home for the summer, has barely four and half feet of water at mean low tide. We went right in – easy peasy. Note the red and green mark on either side of Motu Iti. (Red right return.) The entrance is well-marked, but narrow, with a sharp right turn. And since it was blasted through rock, that’s what you’ll hit if you wander out of the channel. We took a mooring for a couple of nights; very quiet here. 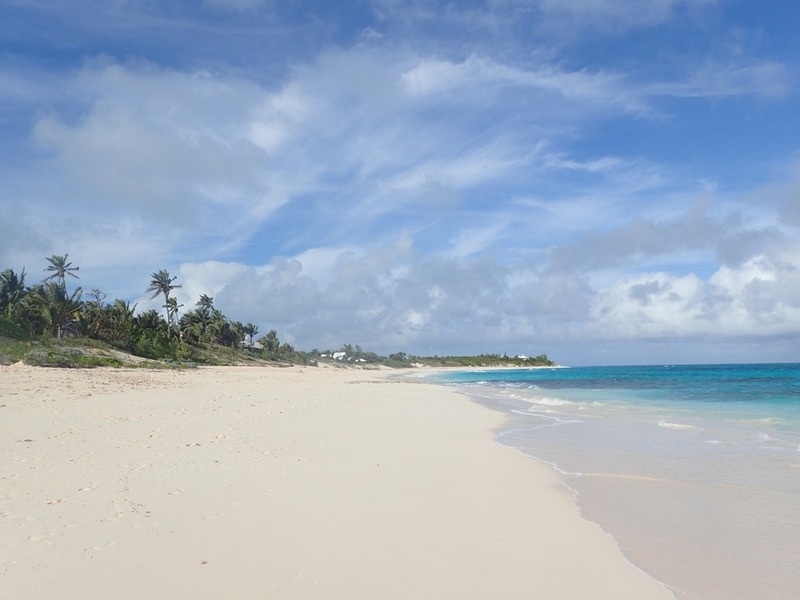 We are in Black Sound; to our northwest, still in Green Turtle Cay, is White Sound, so-called because its bottom is white sand. White Sound has an easier entrance – Black Sound is closer to town. Both have marinas, with a mix of run-down and upscale. 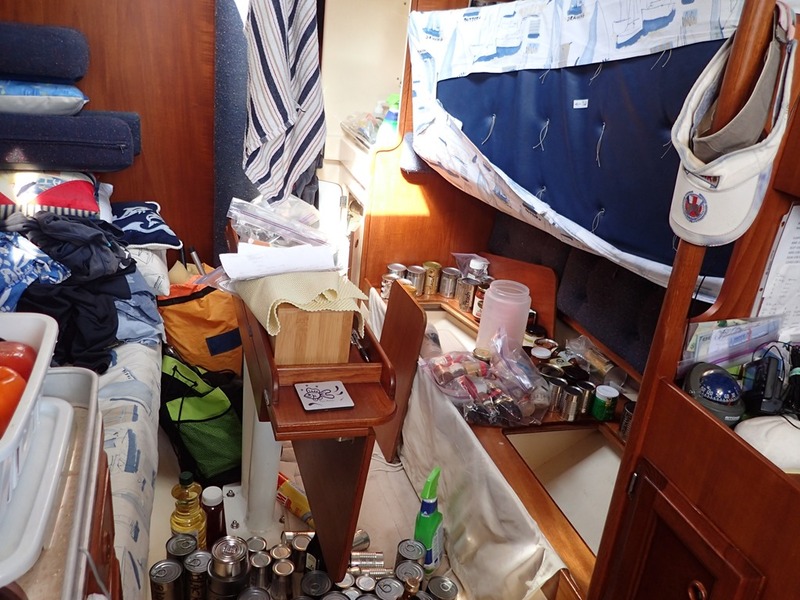 We gave Motu Iti a thorough cleaning inside, inventorying and re-stowing our supplies. What a mess. It’s not pretty, but it needed to be done. 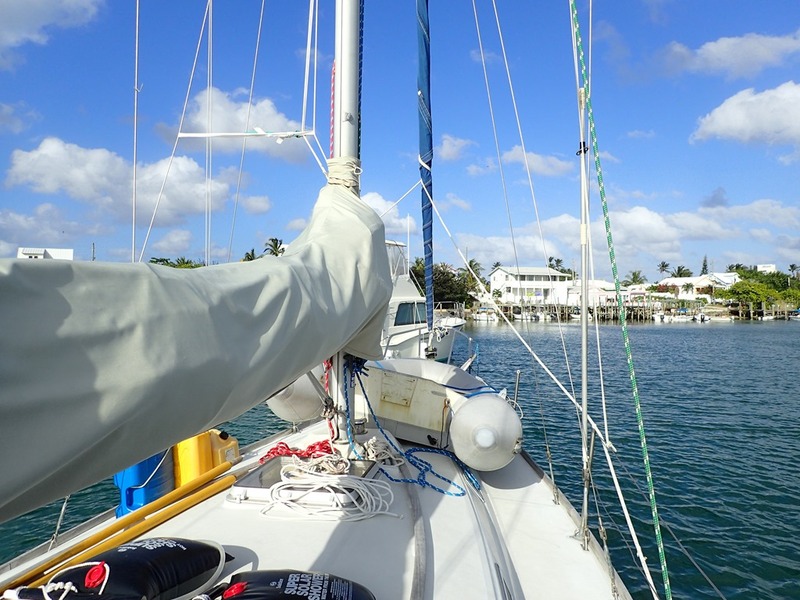 We dinghied into New Plymouth, the settlement on Green Turtle Cay. The island is three miles long and a 1 1/2 miles wide, with a population of about 500. There are several grocery stores, a place to buy fish, and many restaurants. Each place is small, quaint and old. 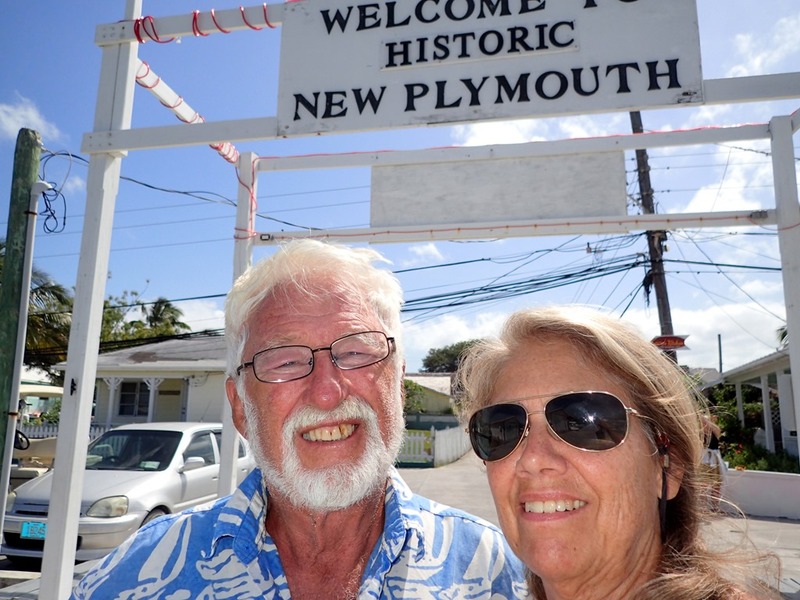 New Plymouth has its own beauty and charm – different from Hope Town – maybe not as prosperous. 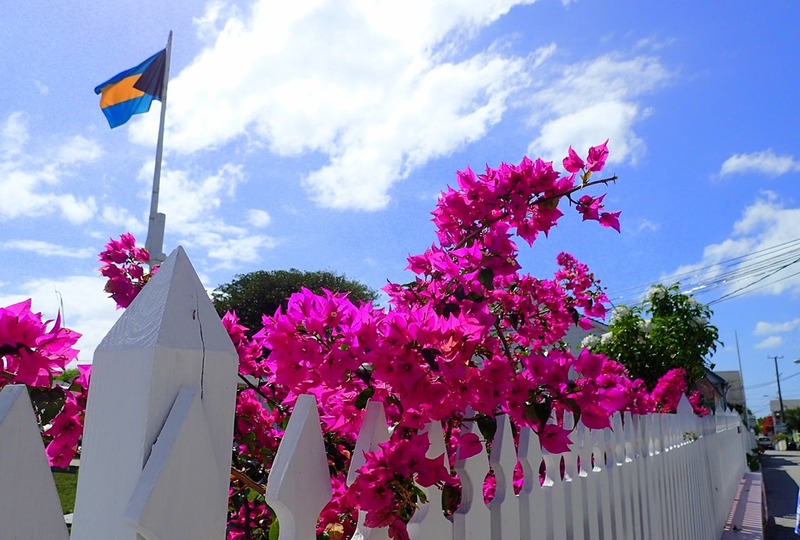 Certainly more remote, but with beautiful beaches and a continuation of the same barrier reef – reputedly the third largest barrier reef in the world. 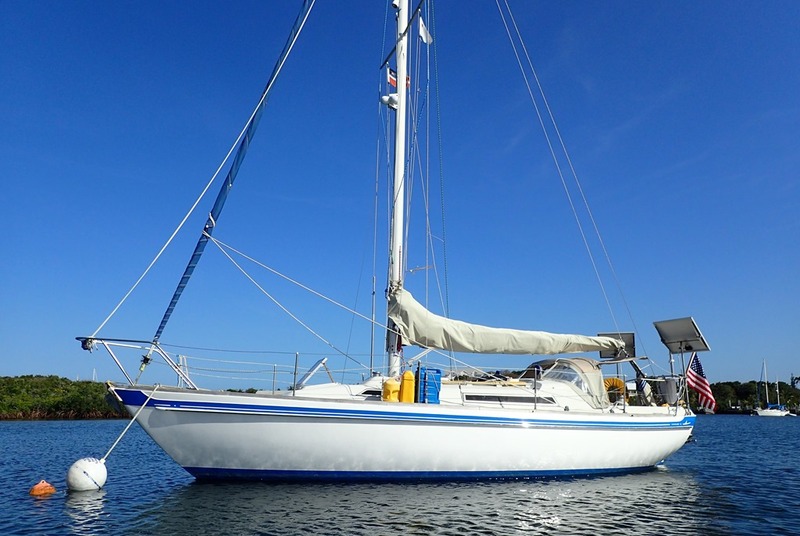 After two nights on the mooring, we have the boat almost ready to be hauled and secured for the summer. Good to hear from you. Spring here in Annapolis – pretty. Looking forward to seeing family & friends.